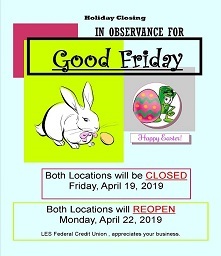 LESFCU’s Regular Savings (Share) Account is required for membership in the credit union. A minimum deposit of $25 establishes your membership and must be maintained to remain a member. 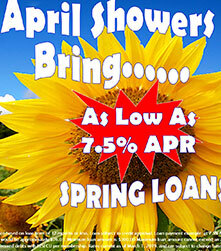 This deposit enables you, the member, to be an owner of the credit union and also save for a rainy day. Don’t delay, Join TODAY! 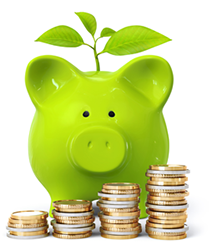 Saving can be made EZ through payroll deduction, direct deposit or automatic transfers from other accounts. A Calculator will help you compute how a few pennies a day can quickly add up over time. For safety and soundness of your savings, your deposits are federally insured up to $250,000 by the National Credit Union Administration (NCUA). 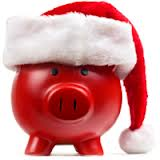 LESFCU's Christmas Club Account makes it easy for you to set aside money for holiday spending and/or travel. Funds can automatically be deposited into your Christmas Club through payroll deduction, direct deposit or automatic transfers from your savings or checking. A Calculator will help you compute how saving a little goes a long way. With no initial deposit required, you can start saving today. Maximum balance can not exceed $5,000. Automatic annual distributions occur in October of each year. You can choose to have your funds mailed to you by check or transferred into your LESFCU regular savings account. Holiday shopping just got easier! Apply for Christmas Club Account! Take your dream vacation without having to break your piggy bank. 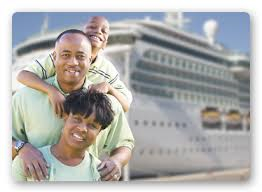 Save throughout the year with a LESFCU Vacation Club Account. With payroll deduction, direct deposit or automatic transfers from your savings or checking, you can automatically deposit funds into your Vacation Club. A Calculator will help you compute how just a few dollars a payday will help you reach your goal for that much needed vacation. Open your Vacation Club Account any time during the year with no minimum deposit. Maximum balance can not exceed $5,000. When you are ready for your vacation funds, simply contact LESFCU to have the funds mailed to you by check or transferred into your LESFCU regular savings or checking account and sail away! Apply for Vacation Club!